June 13th was an important day for CSAV Systems and Hackensack Meridian – Jersey Shore University Medical Center. That date marked the highly anticipated grand opening of Hope Tower; the new outpatient facility of JSUMC in Neptune, NJ. This extension of the hospital provides 10 additional floors that include: a cancer center, a multitude of physician offices, areas for academics/research to be conducted, a pediatrics unit, a surgery/neurosurgery unit, outpatient services, and a state of the art simulation lab. 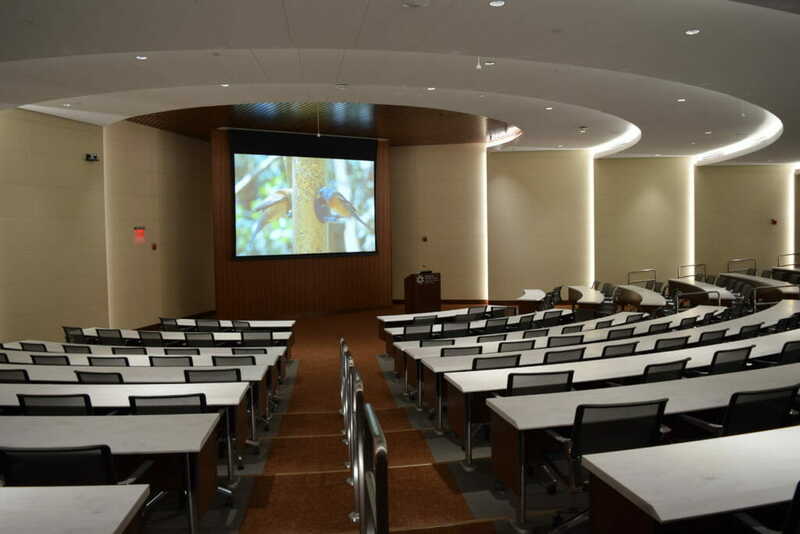 CSAV Systems was brought onto the Hope Tower project 4+ years ago because of our expertise in designing integrated Audio/Visual systems to meet the specified needs of healthcare. Taking the lead for the CSAV team on this project was our Project Coordinator, John Samuel, and CSAV Technicians, Chris Beninato, John Abbate and others. The combined experience and knowledge of all team members gave them the ability to work through the multitude of challenges they faced while demonstrating the professionalism of CSAV Systems. The complexity of the project required them to be on their toes and to constantly think about how to overcome possible obstacles. 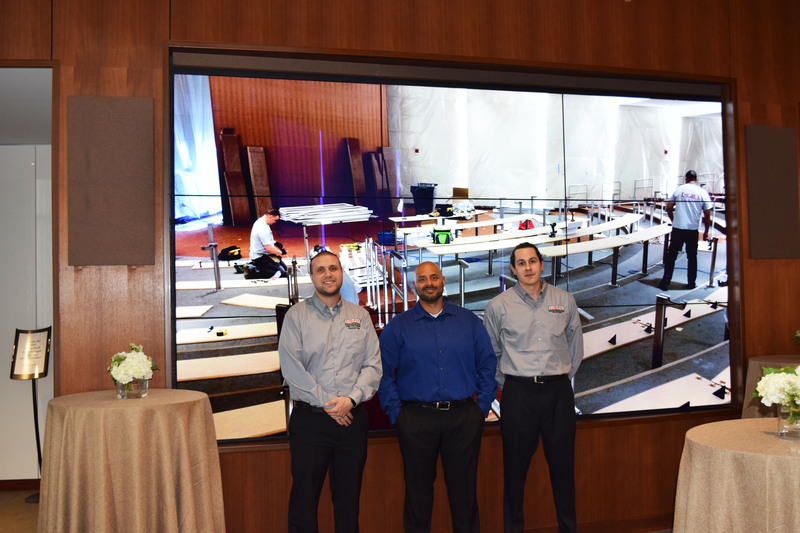 “With every floor and every room in the tower came a different set of challenges regarding the audiovisual services they needed” said CSAV President Glen J. Dalakian. The conference rooms on each floor, the Simulation Lab on the 9th floor, the Music/Page throughout the tower, and the 10th floor with its amphitheater, 165” Diagonal 4K Video Wall, and outside terrace all required unique approaches to best design the proper sound and video for each area. 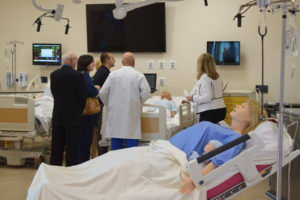 Our team worked with Polycom for video conferencing, wireless interface with WePresent, Qomo interactive displays, Crestron schedulers, Crestron control, Axis cameras in the Sim-Lab, Laerdal Sim-View servers, Audio Technica Mics for recording for academic purposes and more. All of the work was extensive and required proper attention to detail, especially the 10th floor Conference Center. Hope Tower’s 10th floor is home to the beautiful outside terrace with speakers, the video wall, and the amphitheater. The video wall and amphitheater were two projects that meant a lot to CSAV when they were working on them for different reasons. 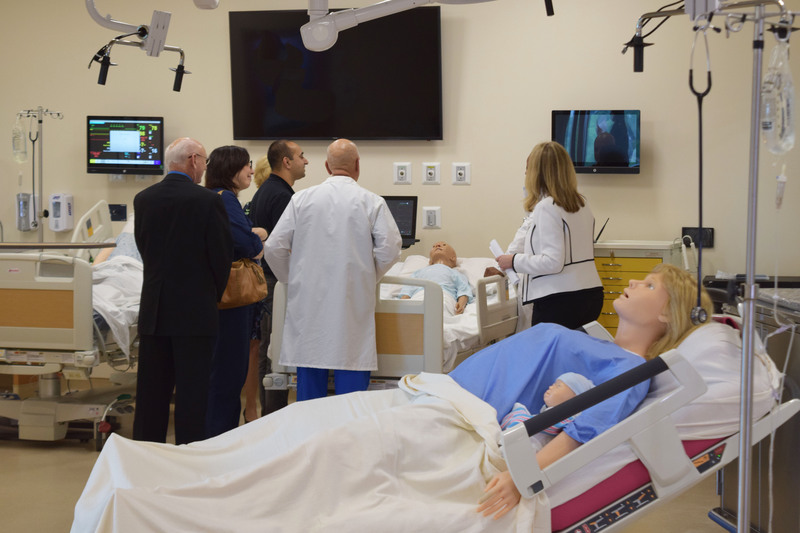 The amphitheater is a place where hospital staff and others will learn much about the medical field. For this reason, it was imperative that everyone be able to see and hear clearly. To make sure that everyone can see, a large projection 193” Diagonal HD screen to accommodate the size of the vast room was installed. Making sure that everyone could hear was the other important piece of this room. The custom designed sound system in the amphitheater was augmented with an Assisted Hearing technology with copper wire along the entire length of the floor under the carpet. With the copper wire and assisted hearing system in place, a magnetic field is created for Hearing Aids with a Tele-coil. This allows the wearer to hear from anywhere in the space. CSAV is a leader in sound and video systems for healthcare facilities, as well as, a multitude of other business markets. Have a question about your audiovisual system? Contact us today!